THE CLIA GUIDE TO THE CRUISE INDUSTRY is the definitive resource for those who need to understand the contemporary cruise industry. This is the official book of the Cruise Lines International Association (CLIA), to which 90 percent of the world's cruise lines belong. This authoritative text is designed to support CLIA's highly regarded certification program while covering all the essential aspects of today's cruise industry, from sales and marketing to operations. 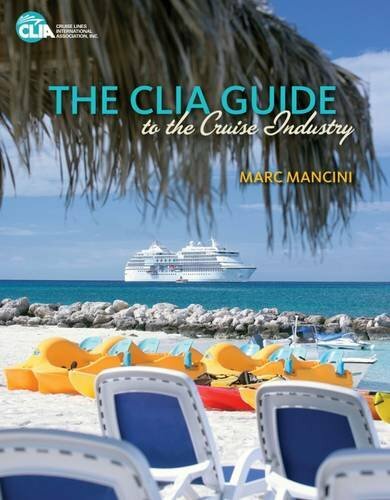 Written by noted travel authority Marc Mancini in a style that provides an enjoyable learning experience for readers, the book blends definitions, statistics, anecdotes, observations, and examples into an entertaining and informative look at the cruise industry. Chapters contain objectives, key terms and phrases, photographs and illustrations. Questions for discussion challenge readers to test their understanding of the material in each chapter, and the activities at the close of each chapter encourage them to take a hypothetical situation and develop a creative solution. THE CLIA GUIDE TO THE CRUISE INDUSTRY gives readers an up-close and realistic look at one of the true travel success stories of our time.